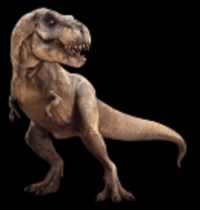 Species: Tyrannosaurus rex Species description: One of largest carnivore during dinosaurs age with 12” corner teeth with roots and up to 49 ft long and USA own species found in western USA. Very powerful and massively built dinosaur which hunted solitary . It easily downed its prey with quick surprise attacks. Description and rating:1-10 9.8 Extra Special Super Great 3” Maxillary Tooth Never Broken with a Unique Beautiful Light Gray Color. Serrations as you can see are very good at least on both sides, and with the beautiful light gray represents a huge opportunity for someone. It really doesn’t have any negatives unless you consider 1 crack fill with a few minor fractures. Its 100% no restore no repair. You can see also the back of it on pics. Great serrations appear to be all there on both sides with some worn only . Only cleaning on this one . The enamel makes it a beautiful patina . It’s a large maxilla tooth also and prices have gone up so much that great teeth are now 1500 per inch so this tooth is at least worth 4500 . But not here –you get the old rate . This tooth is fabulous quality in every way. All 100% natural as many are in this area. A maxillary shed tooth just should not be this great after 65.5 Million years. It’s just a wonder of nature. This is a keeper and a top tooth for anyone’s collection. Enamel and serrations are just amazing. Close-up pictures show how super this is. This was found by a rancher who finds the best stuff. Selling this way to low. Species description: Largest Therapod Meat Eating Jurassic dinosaur ever often reaching up to 35 ft long Of as long as a bus . Its large skull with movable joints in the skull allowed it to bite huge bites to devour its prey which included the largest of sauropods often reaching over 70 ft long .It did hunt in groups and was probably the greatest predator that ever lived even greater than TREX. It had a S-shaped bulldog neck and each powerful arm having 3 clawed fings and one large one only . These did not rejuvenate as teeth did . It weighed 2 tons at least . Allosaurus hands were way bigger than TREX . Item description and rating: 1-10 10 Unbelieveable Allosaurus Hand Claw 100% Original with Tip Rounded Naturally While living . This Great claw was found whole and never broken . It is mineralized as all are and is the most desired fossil in the world. I have had at least 100 people ask me for one. I had two before and both sold over 10,000. This is smaller but rarer hand claw as number 3 digit claw. It is my first #3 digit claw as I’ve had one of each of #1 and #2 . To me this is so beautiful and top quality . No repair and no restore . NO one has any allosaurus claws for sale anywhere.This is only for top collectors who want to have a rare allo claw. It truly is so nice it is a dream come true for me and now for you . Again as a few other items, If not sold I will gladly keep it. To find one with no work is amzing as mostly these are crushed and repaired due to hard soil its found in –actually rock . No reason to say anything else except a recent one that was 6.5 inches long with 2.5 “ of tip restored on both sides went for $12000 at auction just in case you don’t know values . This claw should get $6900 but you can get it much less.This is a one-in –a lifetime buy and if you wait on this one its gone. This is actually retail but who has one if I don’t get this Ill gladly keep it . Description and rating: 1-10 10 Beautiful Complete 10”x 9 “ High Early in Tail at Top Huge CAUDAL VERTEBRAE. This caudal was never broken and all the processes retained completely over 65 Million years ago. This has a canal I could not clean out due to size and stability, but it was cleaned out at least half way. It was whole so it didn’t have any breaks. It was crack filled only with no resto. This is an amazing piece for all your natural lovers. This never happens I can assure you. It has all the process which is quite large at 7 inches by 4 inches. This natural process is so nice, and with size and also quality with all processes makes this very valuable. Just a small one I have goes for over 2000. This was verified by a dinosaur expert so this is amazing and accurate. It was from a top dinosaur hunter who has connections with the paleontological experts in the field. It was found with many paleontologists digging out. Not only is it a complete high quality centrum with little or no wear. You can also tell from size and shape as the centrum curves substantially inward on sides. It is sideways a some compressed-both centrum and processes. It’s not symmetrical exactly but its close . Remember compression makes sides not perfect in shape but all natural it is worth it . Most verts are missing 20% and restored but not this one. This vert has only one crack fill but again it never broke all the way at all, which is amazing and no restoration. It is a way to get a fine example of the World’s Most Feared Predator of all time without spending a fortune. It is guaranteed one of past middle tail verts on end .I love Rex and you never find anything Rex at this price is amazing. Remember TREX bones are naturally shiny . The indentation of the centrum and the butterfly look show it’s TREX no doubt . It was IDFed by pete Larsen also –the top paleontologist in the country. It doesn’t get more natural than this one . Perfectionist need not apply. You can get a 20% restored perfect shape unnatural one. Species description: Stegosaurus is an armored dinosaur and means “narrow faced roof lizard “ for stenops but for this ultra rare dinosaur about 20 ft long. This means Western lizard and only one complete skull and partial skeleton has been uncovered in 2001 . IT also is noted for neck plates and large dorsal plates used for temp regulation and mating , and tail spikes in back for defense . IT was a herbivore , and stenops it is the longest living dinosaur over Jurassic and Cretaceous . Stenops is the common known species which was found in late Cretaceous India soil. It is a weird looking dinosaur compared to others . Hesperosaurus is only found in Wyoming having alternating plates on back and four spikes on tail . The plates were not as big as stenops. IT had a shorter broader skull than stenops and related to Dacentrus. Item description and rating: 1-10 9.8 10 for rareness and Quality . Unbelieveable X- Rare Complete Stegosaurus Neck Plate 10 “x 8”, 2 Fully Rooted Steg Teeth, Hyoid Bones, Proatli bones-long thin ones & Many Throat Armour Sections(Over100). Also the two fatter bones in matrix are called proatli -these are unheard of-used for attachment to muscles of jaw . This find is absolutely amazing. The hyoid bones anchor the tongue .This is so amazing it brings goose bumps even seeing these pieces. I’ve had 4 total Steg Plates in 20 years, and it’s one of highest sought after requested items –if not the most on earth . However this has many more items around the skull also . The color of lighter gray -even though pics don’t do it justice on color-it makes it beautiful. Hyoid Bones are at base of the mandible close to vocal cords with muscles and ligaments attaching it to other bones only. Proatli bones are the long bones which are never found and serve an important purpose in the skull at back of lowers . These to my knowledge has never been found before. The two steg teeth are highly rooted and each one worth over $1200. One is seen all exposed one side and other I can take it out of matrix to see on one side . All are imbedded in matrix and are complete. The throat armor is out of matrix with over 100 pieces on board and also on matrix with teeth .. Again I never heard of these being found so you get many many skull parts also. The main item the plate is one of best you could ever have with only as little repair on one side and spot resto . This neck plate is one of finest ever found as its in it’s entirety. All other items are 100 % natural with no work done on them. Everyone loves Stegosaurus, and the demands is way greater than the supply. All are gray-black color. It was found underground. All of this material is top premium bone and about as perfect as it gets. Nothing found 140 million years ago is perfect but it doesn’t get any better from what I’ve seen than these items . It appears never broken - the plate with a few breaks on long hyoids. Just super super bone quality and excellent shape with detailed lines and articulation points on plate plus all other bones The stegosaurus teeth are amazing and seen by pointed reds on pics . The red areas on plate is just some repairs & spot fill only. This neck plate is close to head –probably the second one due to size. Keep in mind this is just as valuable as a big dorsal plate as far as science and also the value in dollars is still extreme. Whole steg. plates are hardly ever seen at all and go to 30,000. WE have 2 whole teeth with roots plus many more skull parts .IT is a beauty and so rare you can’t own these normally but this you can afford. You can’t buy this anywhere, and is now regarded as one of my top pieces. This animal did not die out on Jurassic times as they have record of stenops living up until 65 Million years ago in India. These items all go up in value due to rareness at a super rate so it’s just like an investment where you can’t lose. For all these items : Call on this one Its extremely valuable all of these pieces 706-235-2694 . The finder of these pieces said to me he wishes he didn’t sell these to me They are valuable I have many many skull armour pieces also -again not heard of anywhere . These Pebbly throat armor are circular lumps arranged on the neck’s underside and assisted Stegosaurus in shielding its jugular in neck. Whole Steg specimens hardly ever these are found . WOW . All Keep in mind all these bones are found so rarely . Id like to keep these together but will break up if not sold fast . I figure the steg throat armor pieces alone are worth $1500-2000 , The steg teeth are retail 1500 each with roots, and the proatlai plus hyoid bones together are worth at least 2000 as they are so rare and part of skull - so you are paying only 6000 for the steg plate that is magnificient . If I sell the steg plate by itself later Ill be selling it at $12,500 So by getting these together you save lots of funds as these are the same animal all items . All this and a nice display for the steg plate There is very little resto on this anywhere just repair on one side for a few inches .